Thanks for stopping by today for another card that features the new Wild and Wonderful Release from Catherine Pooler Designs. If you still haven't checked out the release, you can find all the products here. For some reason, every time I create with my Catherine Pooler products, I'm always inspired to do rainbows and really vibrantly colorful projects. 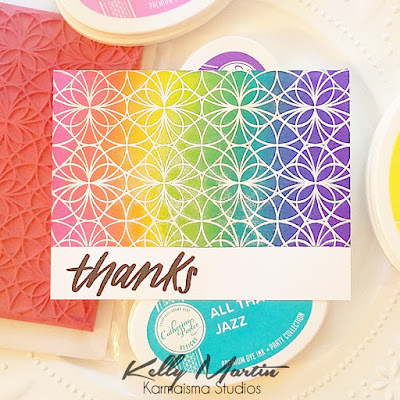 I used the Kaleidoscope Background stamp and the Carnivale Ink collection to make this lil' beauty. In case you didn't know this, the Catherine Pooler inks blend SO WELL! I love that these inks take all the frustration out of ink blending. It's a joy to create with products that make creating effortless! I cut a 4.25 x 5.5 inch card panel, masked off the bottom portion of the card with post it note tape, inked up the background stamp with Versamark ink, and then laid my cardstock panel on top of the stamp to apply the ink. I was careful not to shift the paper! I applied my white embossing powder and then heat set it. 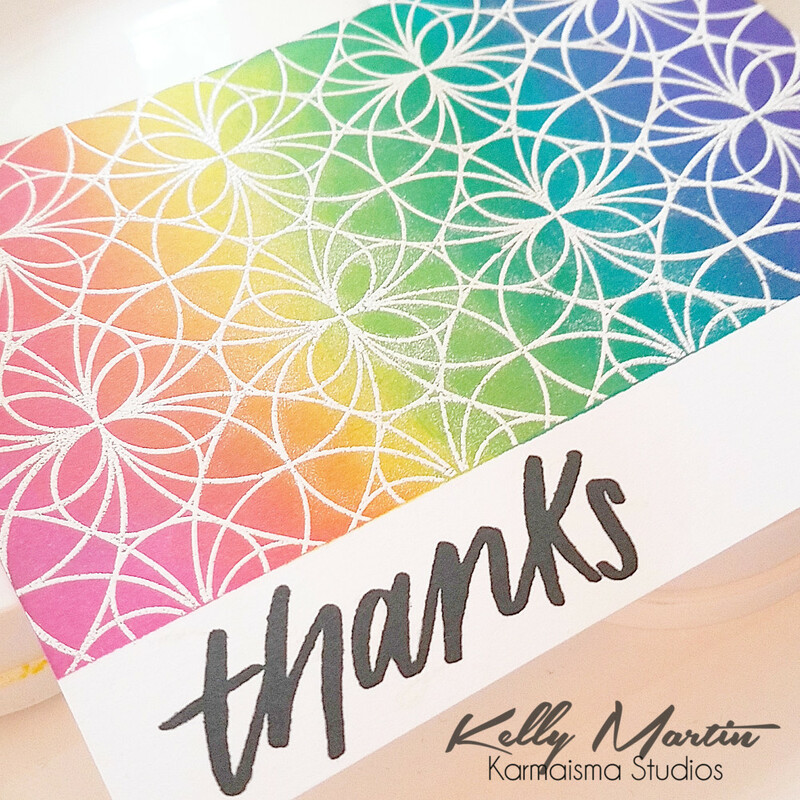 I used an ink blending tool to apply the inks on to my card panel, watching the embossing portion resist the ink. I used a cloth to buff off the excess ink. I kept the post it note tape on the panel this entire time, knowing that I wanted to stamp my sentiment on the bottom portion of the card. 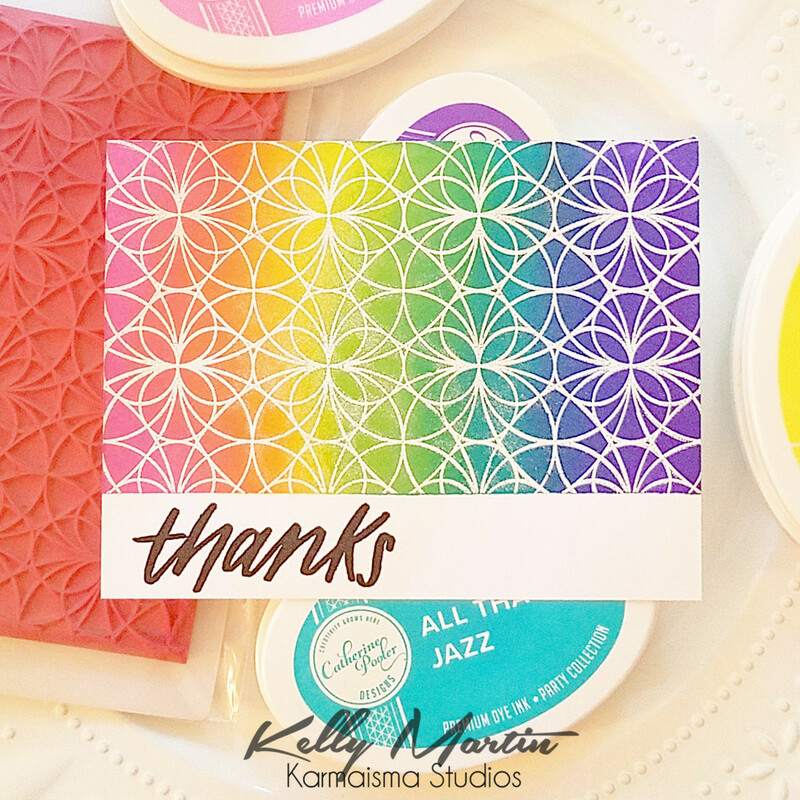 I used a sentiment from the Note of Thanks set and Midnight ink to stamp the finishing touches and then reveled in the rainbow beauty! Thanks again for stopping by today, and happy crafting!